BEIJING, Apr 23, 2018 - (ACN Newswire) - eyeSight Technologies, a leader in embedded computer vision and deep leaning solutions, announces it has received Frost & Sullivan's Technology Innovation Award for Embedded Computer Vision for the Automotive Industry. The award recognizes companies that excel in finding new ways to excite the market and maintain a long-term commitment to innovation. "We are especially proud to receive this prestigious honor for our innovation and to be labeled a disruptive brand by Frost & Sullivan. This award recognizes the results of many years of research and development to create market leading embedded computer vision solutions that can be found in millions of devices worldwide," said Gideon Shmuel, CEO of eyeSight. "Distracted driving is a significant safety hazard that can be addressed with our Driver Monitoring solution that not only helps prevent it, but also enhances the driver experience." 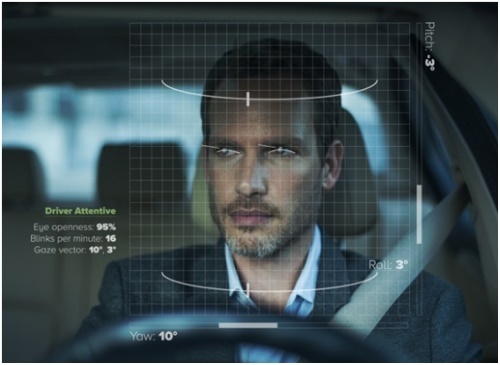 eyeSight's computer vision solutions provide advanced driver monitoring capabilities that track the driver's eyelids, gaze trajectory, head pose, among other parameters, in order to assess the driver's level of attentiveness and detect when the driver is distracted or shows signs of drowsiness. eyeSight leverages its computer vision expertise to address the need for distraction-free driving with automotive solutions that make the driving experience safer and more personalized. The company's solution addresses the industry's growing demand for driver monitoring systems, following the announcement by the Euro New Car Assessment Program, also known as Euro NCAP, which recently released its "Roadmap 2025" aimed at reducing road traffic accidents to a minimum. As part of the roadmap, Euro NCAP is set at tackling distracted driving prevalence by urging automakers to add driver monitoring technology to their vehicles by 2020, indicating the bright future of the driver monitoring industry. eyeSight is the leading provider of embedded computer vision and deep learning solutions, bringing user awareness and gesture recognition technologies to a variety of devices and industries. The company's technology improves daily life interactions with the car, the home, and other consumer electronics with simplified user interactions that are intelligent and personalized. eyeSight's cloud-free sensing technology was designed for a wide range of applications, from active interactions with gesture recognition and finger tracking, to passive user detection and face analysis, delivering customized experiences based on user features and actions. For more information, visit www.eyesight-tech.com.